As a writer, I’ve heard a great deal about Blake Snyder’s screenwriting Bible, Save the Cat. I first learned about the book way back in my freshman year of college, and I haven’t been able to get it out of my head ever since. Finally, I gave in to temptation and bought it for my Kindle. Here’s what I discovered. In Save the Cat, Snyder shares his popular screenwriting structuring method, involving the use of “beat sheets.” These beat sheets allow writers to break their stories down into basic thematic elements to make structuring a breeze. Some of these beats include the Opening Image, Break Into Two, Midpoint, and Bad Guys Close In. 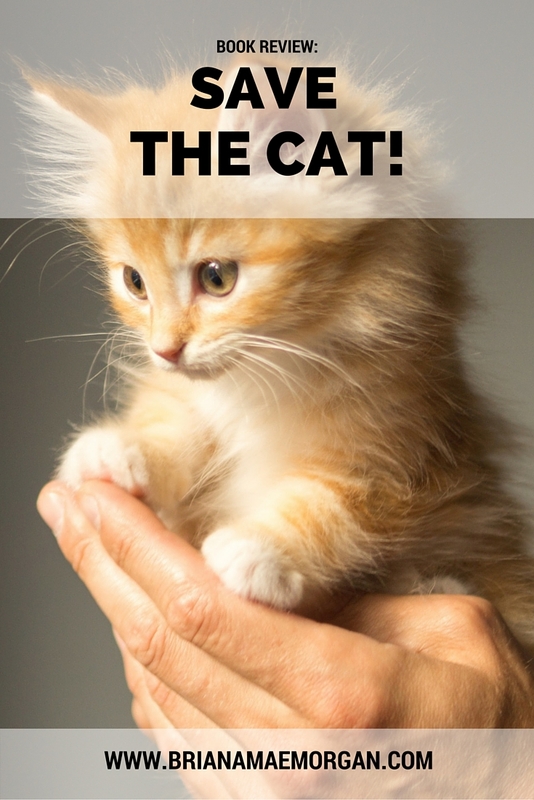 Even if you haven’t read Save the Cat, chances are you’re familiar with some of these phrases. When I first started writing, I had little idea how to structure a story. Although most of this book is geared towards screenwriters, the principles and techniques in it can easily able to novel writers as well. Snyder makes structure simple–there’s no need to overthink it. In this book, he shares the storytelling skeleton for you to fill in as you please. It may feel a bit formulaic, but there’s no arguing it works. I only have two points of contention with this book. For one thing, when I pick up a book on craft, I don’t want to hear much about the author’s personal experience. I only want to hear what’s relevant to the book. In Save the Cat, Snyder references his own work too many times for my liking–but, as I mentioned, that’s all down to personal preference. The other thing that bothers me about Save the Cat is that I fear writers who read it may adhere too strictly to the formula it proposes. Don’t get me wrong–Snyder’s storytelling beats are incredibly helpful. I just worry that newbies may try to shoehorn plots into strict beats and sacrifice originality in the process. It bears mentioning once again that there are no hard and fast rules when it comes to writing. If you want to follow Snyder’s structure, then by all means, go ahead. But don’t spend so much time trying to get your story to fit neatly into beats that you stop having fun. After all, if you’re not having fun, what’s the point in doing it? In spite of some of its shortcomings, Save the Cat is one of the best, most straightforward books on story structure I have read. Whether you write plays, screenplays, novels, or short stories, I highly recommend you take a look at it. What do you think of Save the Cat?